Love the look of DIY jewelry crafts? 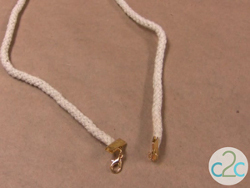 Grab some clothesline rope and create a super simple yet stylish necklace that looks amazing! 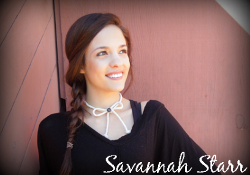 A Clothesline Rope Bow Necklace from Savannah Starr will serve as a perfect accessory to any outfit. Cut approximately 4 foot length of rope. 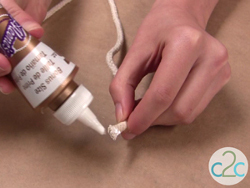 Apply a dab of Aleene’s Tacky Glue to the end of rope. 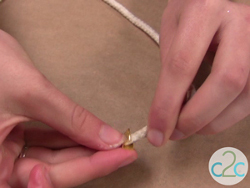 Rub and press glue into the rope to keep it from fraying and to help to flatten the end. 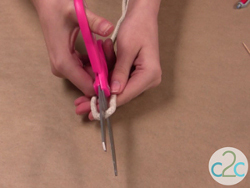 Insert end of rope into one side of ribbon crimp. Press firmly so that the crimps grab into the rope. 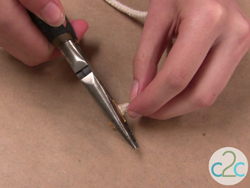 Use pliers to tightly close the crimp on the rope. Repeat to attach other side of crimp to rope. 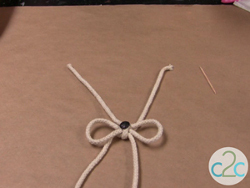 Determine where you want to tie bow in rope leaving enough room so that the necklace is not too tight and not too long. Pull knot of bow tight. Adjust center of bow and pull loops until they are the same size. Apply glue to back of glitter sticker. Glue onto center of bow. 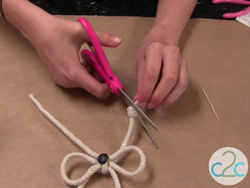 Determine placement of knots in rope streamers. Tie in place. 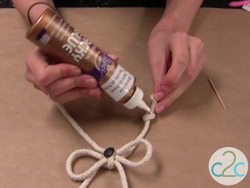 Apply glue to top and bottom of knot to hold in place. Let dry. When glue is dry, cut rope right below knot. 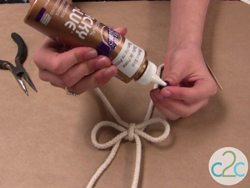 For a comprehensive video tutorial of this project, check out How to Make a Rope Bow Necklace.